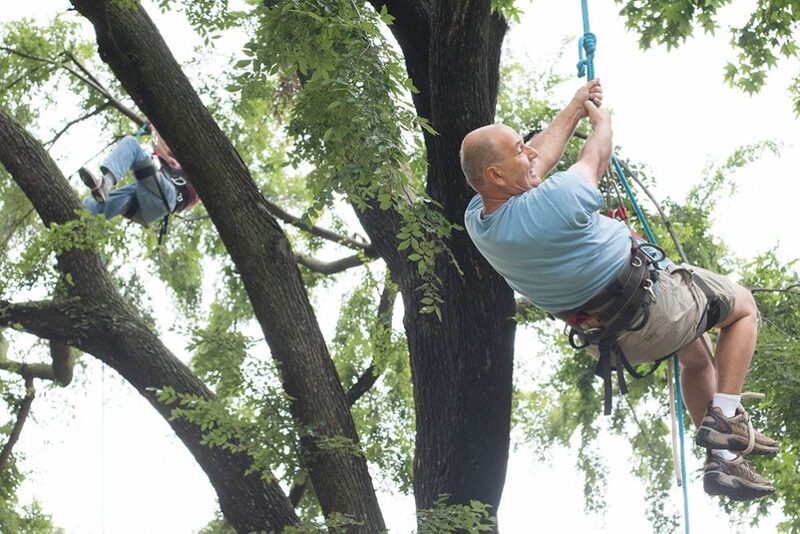 Recreational tree-climbing becomes a draw for OKC enthusiasts – some into their 50s, 60s and 70s. 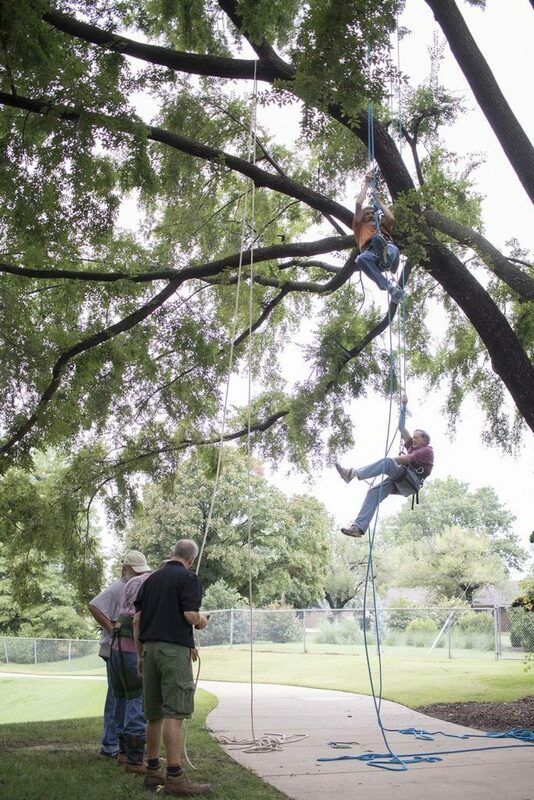 Kenton Peters learned to climb a tree with ropes and a harness so he could safely perform his job. Now he’s sold on doing it just for fun. Peters mastered the technique when it was his job to trim trees at the Crystal Bridge Conservatory at Myriad Botanical Gardens. He’s taught classes for about 10 years and typically draws teenagers and 20-somethings. But after an adults-only class was advertised in August water bills, more registrations came from the bucket-list crowd. “I thought if I can play tennis, I can do this,” says 74-year-old Paul Gragg, who has a pecan tree in his yard that he’s itching to climb. With knowledge from the class, Kevin Conley, 52, plans to go home and practice his knots. 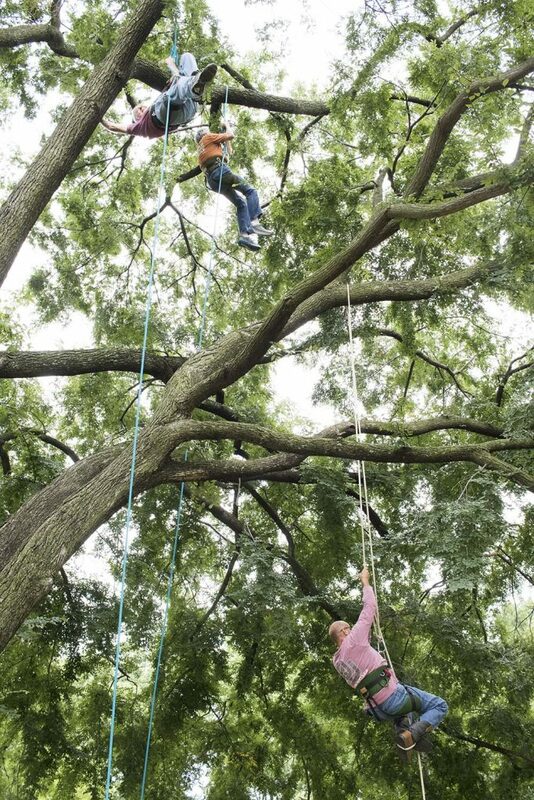 The Blake’s hitch, the figure eight and the overhand are essential to tree-climbing. Conley says he climbed trees in a less-safe manner to trim branches and put up Christmas lights, but he also wanted to take up the hobby. 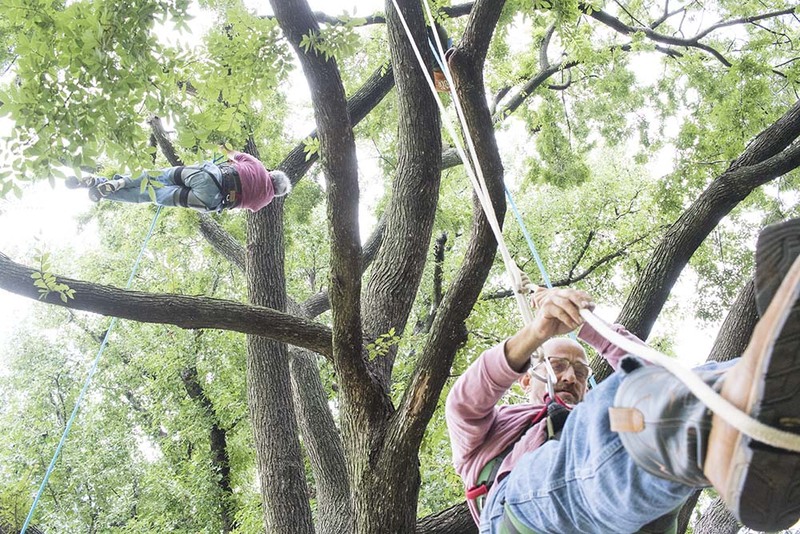 “I’ve got two teenagers that want to do it, but I’ve got to figure it out first,” he says. Tom Zercher, 75, says he has wanted to learn since stumbling across The Wild Trees, a book about people who pioneered climbing California’s redwoods. John Borgert, 65, an elementary school art teacher, got the itch after taking his 10-year-old son to one of Peters’ classes. In addition to pulling with their arms, climbers propel themselves, each with one leg placed in a foot loop, a separate rope attached to the main one. “Trust your knots and relax,” Peters says to his four students as they start up the tree. 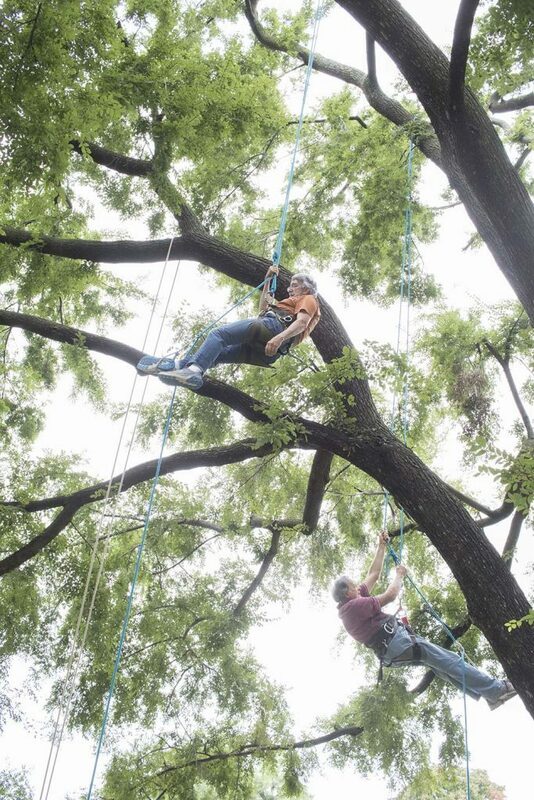 Ephraim Taylor, 31, of Broken Arrow, trims trees for a living; for fun, he enters International Society of Arboriculture competitions. This year he won the fast rope climb by ascending 50 feet in 11 seconds. Taylor says competitors share new techniques, focus on safety and learn aerial rescues.